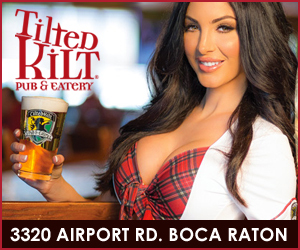 BOCA RATON – Twice last year against Bethune-Cookman Chris Tooley did something that the Owls have only managed to do once to far this season – steal a turnover. 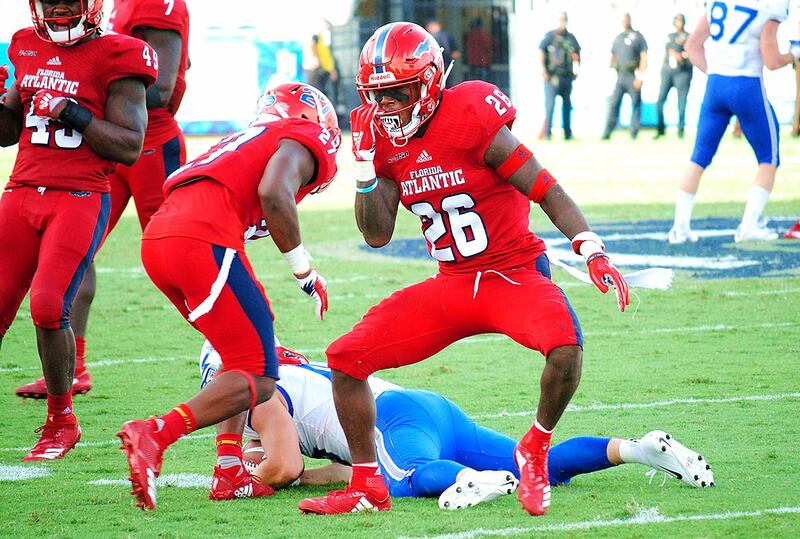 FAU opened the season by going nearly eight full quarters without forcing one turnover, a drought the Owls’ snapped on their final defensive snap against Air Force. And that’s after placing added emphasis on taking away the ball during spring can fall practices. “We haven’t gotten after the ball well enough,” FAU coach Lane Kiffin said. The Owls had a similar problem last year. Through two games in 2017, FAU had only forced three turnovers. Two games into this season Rashad Smith’s interception that sealed FAU’s victory over Air Force last week is the lone turnover produced by the Owls. Prior to that game, No. 7 Oklahoma ran over FAU in the season opener and didn’t come close to giving the ball away. Tooley enjoyed his best game as an Owl in last year’s 45-0 victory over Bethune-Cookman, returning a fumble for a touchdown and also intercepting a pass. Beating B-CC gave FAU it’s first victory of the season and the first win of the Lane Kiffin era. “Had some real fun,” Tooley said. Against Bethune-Cookman (1-1) this week, the Owls will be looking to start a season by winning two of their first three games for the first time since 2007. Creating turnovers would greatly aid that quest, and that might start with the first interception by a defensive back this season. 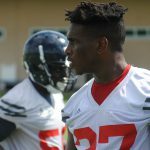 With safety Jalen Young questionable for Saturday’s game with a right knee sprain, Tooley’s four carer interceptions is the most among FAU’s expected starters. Should Tooley’s play in last year’s game prompt the Wildcats to look elsewhere in the passing game, they will likely be trying to pick on sophomore corner James Pierre. After surpassing preseason All-Conference USA selection Shelton Lewis on the depth chart last week, Pierre delivered the two biggest hits of the season by twice flipping Air Force ball carriers. Even with their slow start in the turnover department, FAU still rebounded to intercept 20 passes last season, tied for second-most nationally and only one behind leader Iowa. Bethune-Cookman quarterbacks have thrown four interceptions this season, but only one of them came off the arm of starter Akevious Williams. If the Owls get an early lead against a far-from-impressive Wildcats defense, Tooley and the rest of the Owls’ secondary should have plenty of opportunities to nab their first picks of the year. Smith will also have a chance to add to his team-leading total, and he doesn’t intend to surrender that lead. “I’m leading it now, so I’ll keep it,” Smith said.